Buy-to-let for parents: should you invest in a property for your kids? Investing in a property for a family member to live in might sound like a great idea, but does it really make financial sense? 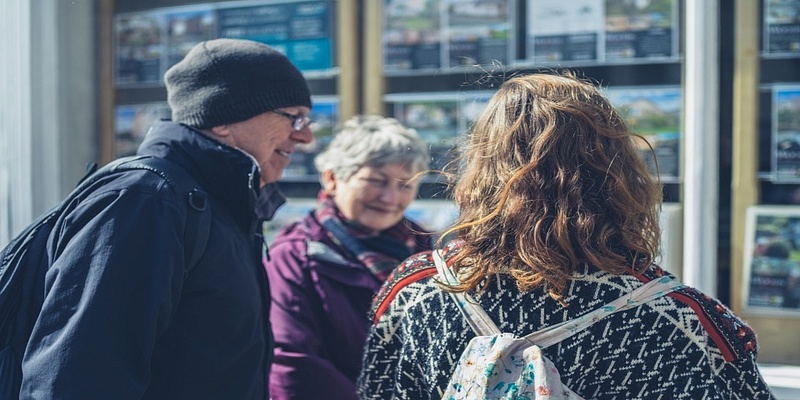 If your child is moving to university or you’re helping an elderly relative downsize, you might have considered buying a property yourself and renting it out to them – perhaps for a little less than you could get on the open market. Family buy-to-let can be the right option for some people, but there’s a web of mortgage and taxation complexities you’ll need to navigate first, as we explain below. If you’re considering investing in a property and renting it out to family members, call Which? Mortgage Advisers on 0800 197 8461 for a free, expert chat about your mortgage options. If you’re looking to rent a home out to a family member, you won’t be able to get a standard buy-to-let mortgage. This is primarily because most people operating a family buy-to-let won’t charge their relative the full market rate to live in the property. This makes the investment more dangerous for the borrower (especially if they have a small deposit) and, in turn, for the lender putting up the cash. When you invest in a standard buy-to-let property, your mortgage won’t be regulated by the Financial Conduct Association (FCA). With family buy-to-let, however, lenders will usually assess your application in the same way that they would if you were applying for a normal residential mortgage, rather than a buy-to-let mortgage. This means you’ll instead be applying for what’s commonly known as a ‘regulated’ buy-to-let mortgage. Depending on the lender, you might need a bigger deposit, and in some cases you’ll only be allowed to take out the mortgage on a repayment basis rather than an interest-only one. As you could be letting for below market value, some lenders will require you to prove you’ll have sufficient income to pay the mortgage without taking the rent payments into account. Virgin Money, Melton Mowbray Building Society and Furness Building Society all accept family buy-to-let applications, and you may also find that some building societies will consider applications on a case-by-case basis. If you’re considering a regulated buy-to-let mortgage, it can help to speak to a mortgage adviser, who will be able to find the right lender and deal for your circumstances. Last year, Mansfield Building Society made headlines by launching the Family Buy To Let mortgage, which works differently from most other products. The deal allows landlords to let a property to a close family member with an interest cover ratio of just 100%, meaning the rental income only needs to cover the full mortgage payments, without requiring more on top. This product also allows landlords to use their earnings to cover the shortfall if they let the property for below market value. A year on, Mansfield still offers two-year and three-year discount mortgages as part of its Family Buy To Let offering. One of the biggest barriers to investing in family buy-to-let are the tax implications. The heftiest blow comes in the form of stamp duty. Assuming you already own your own property, you’ll need to pay a 3% stamp duty surcharge when buying your investment property. This can result in a substantial outlay. For example, a buy-to-let property costing £275,000 would be subject to a £12,000 stamp duty bill. Use our buy-to-let stamp duty calculator to work out how much you’d pay. You’ll also need to consider the long-term capital gains and inheritance tax implications of buy-to-let, and whether the government’s tapering of mortgage interest tax relief will affect you. Finally, you may find it difficult to claim for all expenses on a property let to a family member, as you could struggle to prove it’s being let ‘wholly for business purposes’ if the rent you’re receiving is significantly below market rates. If you’re considering investing in a property for your child to live in at university, you might be enticed by stories of impressive yields and long-term capital growth on student property. In truth, student property investment can be a risky business and, if you’re thinking of letting to your child and their fellow students, it’s even more complicated. The property may be categorised as a house in multiple occupation (HMO), which means you’ll need to get a licence. The licensing process includes an inspection to ensure you won’t be breaking rules on minimum room sizes. Students are more likely to move out after 12 months than professionals, meaning you could have a high turnover of tenants and regular void periods in which you don’t earn any rental income. Student properties usually need to be provided fully furnished with beds, desks and white goods before they’re let. Having students as tenants might also necessitate more frequent repairs or replacements than if you had older tenants – although this isn’t always the case. Administrative tasks such as securing guarantors for each individual tenant could eat into your time. If your child is moving to university, you can get a wealth of free advice from Which? University on everything from funding to course choices. As a starting point, check out the parent, guardian and carer guide to university, which was created in partnership with Ucas. Investing in buy-to-let means taking on the responsibilities of being a landlord, regardless of who you’re letting the property to. If you’re letting to your own child, however, the emotional stakes will be much higher, especially if you’re putting a financial burden on yourself by doing so. With this in mind, you should formalise the situation as much as possible, including by drawing up a tenancy agreement. You’ll also need suitable insurance, will have to keep up to date with gas safety checks and, if a deposit is paid, you’ll need to place it in a deposit protection scheme. Get to grips with the changes affecting property investors this year in our article on 16 things landlords need to know in 2019. If you’re thinking of investing in a property to let to a family member, it can be helpful to get advice from a whole-of-market mortgage broker, who can navigate the market and find the right deal for you. For impartial, expert advice call Which? Mortgage Advisers on 0800 197 8461 or fill in the form below for a free callback.